For the past two years, Appalachian has been working intensely on several initiatives to improve the climate of safety on our campus. While ensuring student safety has been Chancellor Peacock’s longtime top priority, a specific incident of interpersonal violence led to Appalachian being the subject of a complaint with the Office for Civil Rights (OCR) in February 2012. Shortly thereafter, OCR proposed a resolution agreement with Appalachian, which led to a several initiatives and actions. These included implementing a safety climate survey and spinning up an Interpersonal Violence Task Force, which in turn, made several recommendations to Chancellor Peacock. In February 2014, OCR determined Appalachian had resolved and satisfied our agreement with them, and they closed our case. Dean of Students J.J. Brown explains some of the results from the safety climate survey and recommendations from the Interpersonal Violence Task Force, discusses specific actions Appalachian has taken, and looks forward at the work Appalachian is committed to continuing. Interviewer Megan Hayes: So we’re here today for another FYI Podcast, and today we are joined by J.J. Brown, our Dean of Students. So J.J., thanks for being here today. Dean of Students J.J. Brown: Thank you, happy to be here. Hayes: The reason that J.J. is joining us today is to give us an update on some actions that really started almost two years ago now. In February 2012, there was a complaint filed with the Office for Civil Rights that was related to a specific incident of interpersonal violence on our campus. This was a very intense time on our campus. I remember it really well; J.J., I know you remember it really well. There was a student protest that was related to this specific incident of violence, and I remember Chancellor Peacock walking out to the students and looking them directly in the eye and saying safety was his number one priority on this campus. Shortly after that, in the spring of 2012, the Office for Civil Rights, which we are going to call the OCR for short, asked Appalachian to provide some data which was related to interpersonal violence on our campus. And at this point, OCR proposed a resolution agreement with Appalachian. This resolution agreement then kicked off some of the things we were asked to do with OCR. Two of these items related directly to the incident that led to the February complaint. But there were two other main initiatives that we want to talk about today that Appalachian undertook. J.J., can you give us a little background about what those initiatives were? Brown: Absolutely. Two initiatives that OCR asked us to dive into, and we agreed to, as part of our resolution agreement, was to create a climate survey and survey our campus community to determine the effects of harassment within our community. And then secondly to create a “working group,” as OCR called it, to really look at interpersonal violence, and to look at our programming that we offer related to interpersonal violence, specifically our orientation new student programming, but just broadly looking at interpersonal violence in our community. Hayes: Tell me a little about the Interpersonal Violence Task Force. Brown: Our interpersonal violence task force was formed in May of 2012. It was a group that was appointed by our Chancellor. It was comprised of faculty, staff, and students. We had a number of students present and represented on the committee, several from our Student Government Association, faculty senate had a representative, we had a staff senate representative as well, as well as some other key leaders from faculty, to support services, to orientation individuals that are on our campus as well. And really the group came together to work for an entire academic year. So for the 2012-2013 academic year, that group met monthly and broke into subgroups to write a report that was prepared and given to our Chancellor the summer of 2013. Hayes: So they spent a year investigating our campus and working on that report? Brown: The group did. They spent an entire year and really worked to develop a number of different recommendations for this report. And they did that by working in four different subgroups. There was a policy subgroup, so they were looking at our policies that are related to interpersonal violence, particularly related to our code of student conduct. There was a programming group that was working specifically on what programming, what educational programs do we offer on our campus, what are some of the challenges with those programs, and is our messaging consistent. We had a support and outreach committee as well, so for individuals who are victims, survivors of interpersonal violence, what are we doing as a campus community to support those individuals in terms of outreach but also those that are accused of these serious incidents related to personal violence and how do we support them in this journey as well. And lastly, and it ties directly into our climate survey, we had a fourth group that was related to the climate survey and working to develop and create the climate survey. We utilized a faculty member who is a real expert in this area who was a tremendous asset to our group in developing this climate survey that we launched in January of 2013. Hayes: So let’s talk about the climate survey just a little bit. What kind of things were we interested in finding out, what kind of things was OCR interested in finding out, and what did we find out? Brown: We got to work directly with OCR on the development of this climate survey. They asked to actually review it before we launched it, so they were very much a part of this process, and that was just a tremendous resource for us to be able to tap into their expertise on a climate survey - and certainly we’ve had a number of campuses contact us about our climate survey because there are not many out there - and we’re fortunate to have that ability to work with them. So we’re interested in a number of things about how folks felt, perception-wise, on campus and the climate survey really addressed safety, in the broad sense: how do you feel safety-wise during the day, (and there was a distinct difference in the survey when we asked the same question about how folks felt about safety at night, and feeling safe on our campus at night). We also asked about the attitudes and opinions related to interpersonal violence. We asked them for personal experiences: have they themselves been a victim of interpersonal violence? Have they been harassed, have they been sexually assaulted in any way, as a faculty staff member or as a student? And we got lots and lots of data that came from that survey that told us some broad information. But we’ve got to continue to dig into that data to look at: how do we change our programs on campus, how do we implement things in a different way? I know that our Chief of Police Gunther Doerr has already done some things related to the safety aspects: increasing foot patrols and increasing patrols of officers and visibility of officers particularly at night, and referencing the parking garages, which was one question our climate survey specifically addressed - that folks feel uncomfortable at night, or less safe at night, specifically. Hayes: So the task force used this climate safety survey and then the information gathered by and created out of these other three subgroups that you had. And what recommendations did they make; what came out of that task force? Brown: So there’s a number of recommendations that came forward from the task force specifically, and two of them directly relate to creating some new positions. Creating some new positions on campus to look at prevention efforts related to interpersonal violence; also having a dedicated person for support and outreach for victims and survivors of interpersonal violence, but also those accused of violating our code of conduct as it relates to sexual misconduct specifically. The task force recommended mandatory training for all faculty, staff and students. That is a big undertaking if you think about mandatory training, and how do you do that on a campus of our size and magnitude. But that is something that we are looking to move forward with in the future but that was a recommendation. Development of a one-page, sexual assault protocol to specialize training for one of our police officers, continue to review our code of conduct, and review our policies related to our code of conduct, ensure that we provide support services to those accused and those who are the complainants as well. The recommendation was made to continue to conduct the climate survey every two years as well, was one of the recommendations from our task force. And lastly, and I think one of the more important aspects, is that a permanent council be created to continue and move Appalachian forward after the task force work was done. Hayes: So the task force obviously has a limited period of time that they are in existence, and the task force is now disbanded, is that correct? Brown: They are. The task force was charged by the Chancellor to submit a report by the summer of 2013, which it did - it submitted that report to the Chancellor the summer of 2013. And then, this past fall - Fall Semester of 2013 - the Chancellor appointed an interpersonal violence council. And he asked Donna Lillian, a faculty member in the English department, and myself to co-chair that council. And certainly that’s a step forward for Appalachian. This permanent body is comprised of staff and students once again, and that group is going to meet regularly with the steering committee (which is a smaller group of individuals), to really help continue to move these particular recommendations forward, which the Chancellor has accepted in principle. There are a few things we’re trying to sort out related to positions, position descriptions, and then today’s budget - budgets are challenging, so how do you finance these positions in particular? And also, we realize that mandatory training is not something that you flip a light switch and it just happens. We want to start out with some in-person trainings this semester and continue to have conversations about how can we implement this broadly throughout our campus community. Hayes: I can imagine that. You know, you turn over a new report and it says “yeah, we need new positions, we want mandatory training…” and you’ve alluded to this a bit already, but how do you then go about managing the logistics and the funding for that? Brown: Well, one of the things that we have is a commitment from our Provost Lori Gonzalez and from Vice Chancellor for student development Cindy Wallace to develop and create these positions. The logistics of how is a bit more challenging to do. And the Chancellor has those commitments that that will happen, it’s just a matter of how do you piece those things together. And one position is purposed to be more prevention-related, and that position would really fall under Academic Affairs working directly with our Title IX coordinator here at Appalachian. 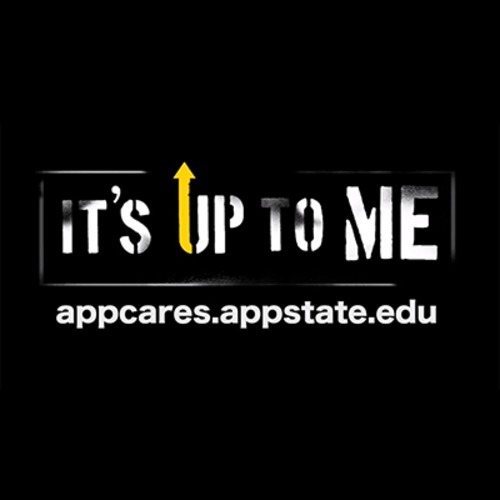 The other support and outreach position would be really focused on care and concern, our Appalachian Cares theme-approach in Student Development, and how we support students through various challenges they may face on their journey while they’re here as a Mountaineer. So some of those logistics are still being worked on and developed, particularly related to funding. There are certainly many funding needs across our campus, certainly these are equally important to those many other needs, but certainly that’s a challenge that we’re working through as we speak. Hayes: So where are we now with our resolution agreement with the Office for Civil Rights? Brown: We have been in constant conversation with OCR. We’ve had conversations and updates with them even this semester. Back in February, they closed our agreement. And we resolved and satisfied our agreement with the Office for Civil Rights. And they certainly are satisfied with where we have come, with the recommendations from the Task Force, to the Chancellor’s response to Linda Foulsham and I as co-chairs of the task force on accepting these recommendations moving forward. And then, certainly, the establishment of the full, permanent Interpersonal Violence Council. They’ve actually closed our case. Hayes: So, can you talk just a little bit more about what our resolution agreement means? Brown: Absolutely. We provided a lot of data to OCR. And they came to us wanting to engage in this agreement, and our Chancellor signed this agreement in April of 2012. And they’ve been a tremendous partner throughout this journey, and I truly mean that they’ve been a partner. We’ve been able to talk to them, converse with them about any number of things. Certainly, the climate survey is one great example of how we partnered and utilized some of their expertise in terms of moving forward. Hayes: Yeah, because I think probably in 2012 we did need to take a look at ourselves pretty carefully. Brown: And I certainly think that for us it was a challenging time in many ways, and you don’t have a campus protest every day, on your particular campus, and certainly that makes you look at things in a detailed way. You know, one of the things that was interesting for us is one of the protest organizers served on our Interpersonal Violence Task Force. And that was intentional. And she certainly helped us move these things forward as well. Hayes: I felt so proud of our students during that time. They had this protest as a way of expressing what was really distressing to them at the time. And then they were able to take that protest energy and really turn it into doing something that could effect real change on our campus. And I just remember being so proud of the students and how respectful their protest was and how earnest and honest they were about really wanting to effect change. And I hope that they can look back on this now and feel proud about what they did. Brown: I hope they feel real ownership in this journey. And I think they do. I’ve certainly talked to a lot of them over the last two years, and students have helped us move forward. I mean the students really helped us narrow in on our Red Flag campaign. And that was one of the things that came out of this time as well, and was tied into our efforts. It wasn’t a direct recommendation from the Task Force, but it ties directly into how we’ve moved forward with our bystander intervention program and messaging. There’s a whole new student group now that is doing great things and talking about interpersonal violence. And we have trained students that are doing presentations every week in our campus community - on what it means to be an upstander and a bystander - and that truly is making a difference. That came from direct feedback from students in this time of the protest - how we can be better as a university community. Hayes: Now as part of orientation, the bystander awareness, the upstander program that you’re talking about is a part of that from the first time they come here as freshmen. Brown: It’s so important that we have these conversations day one. And certainly during orientation in May or June, those conversations are taking place in different ways. One of the things they are going to do that first weekend is participate in some workshops or some sessions about: “What does it mean to be a Mountaineer?” “What does it mean to be part of this campus community?” “Who are we?” and, most importantly, “Who are we not?” with regards to some of those expectations. And certainly we want to continue to build upon that and continue to infuse those messages for students, help them navigate some of these challenges that they’ve never faced before, because we want them to be successful. We want them to go out and change the world when they graduate, and to do that, we’ve got to make sure they have a safe place to study and learn and grow while they’re here with us. Hayes: What kind of plans do you see for the future? We’ve been talking about the past two years, and in doing that, having been kind of along on this journey with you in some ways for almost two years, it’s kind of interesting to think back and see where we were then and where we are now. Brown: I think there’s plenty of work to do. I say that all the time. And our work is never done. And I’ve said this in the past as well - that we’re in it for the long haul, as it relates to interpersonal violence. And that’s something that culturally you see all across the country. You can look at really any place in America on any given week and see cases and examples of interpersonal violence that play out. Certainly for us it plays out in our community as well, and there’s plenty of work to do. Every time we think we make progress in a given year, we invite about 4,000 individuals who join our community every summer and fall with new faculty and staff and students. So, our work is really never done, and we’ll continue to build upon programs and the talents that we have on campus to enact this climate change, and we’ve got to keep our foot on the pedal a little bit and continue to do things: continue to meet students where they are, in particular, but also continue to educate our new faculty and staff on what it means to be a Mountaineer as well, and how we look out for each other, how we all play a role in this community and this environment. And that’s particularly important given where we are, in Western North Carolina, the town of Boone and what an impact Appalachian has on this community. There’s so many different intersections that we have within this broader community concept, that we must continue to keep working together. Hayes: Well, J.J., thank you so much for being here today. I learned a lot. There’s a lot of nuances, really, with what it means when OCR gets involved with your campus, what is expected of us and what we’re trying to do that’s beyond what’s expected of us - and so this was a really important, informative conversation to have, certainly for me and hopefully for the rest of the campus community as well. Thank you so much, I appreciate you being here. Brown: Well, I’m happy to be here, and I am so appreciative of so many individual’s efforts helping us move this forward. We’re just greatly appreciative of those partnerships. And, truly, those partnerships and relationships are how we’re going to ultimately move forward and keep making a dent on this challenge of interpersonal violence in our community.